A high quality spacious backpack designed for the modern age that features your decorated logo. These spacious backpacks have everything you need to take on the day ahead. 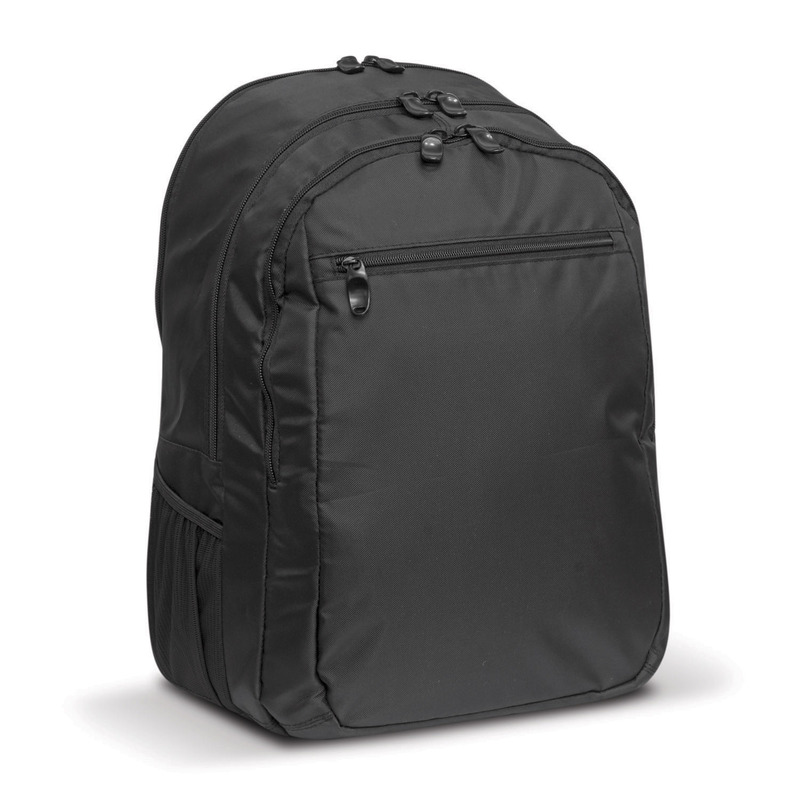 They're made from 600D nylon and are fully padded throughout including the base and shoulder straps. These bags have a compartments specifically designed to hold both a laptop and a tablet as well as a mesh pocket for storage of accessories and charging cables. Other useful features include: 2 mesh pockets, a large zippered front pocket and 2 large internal compartments designed for holding things such as books, clothing, documents etc.